If you live in Pennsylvania, as I do, you must be shaking your head at the shenanigans of our state legislature. Faced with a school funding crisis of their own making, lawmakers voted this week to make it easier to fire school teachers. Monday the state Senate passed their version of an anti-seniority bill that was given the thumbs up by the House last summer. Thankfully, Gov. Tom Wolf is expected to veto it. Yes, this is exactly how you protect excellent teachers – by making it easier to fire them. Currently, if teachers are furloughed, those with least seniority go first. Under this new law, teachers would be let go based on their academic rating. Teachers can have one of four ratings: Distinguished, Proficient, Needs Improvement and Failing. Under the new legislation, teachers rated Failing would be furloughed first, followed by those under Needs Improvement, etc. Within those categories decisions would be made based on seniority. It sounds great – if you know absolutely nothing about Pennsylvania public schools. First off, in 2015 our rating system found 98.2% of state teachers to be in the highest two rating categories. So at best this bill is next to meaningless. Second, like virtually all value added rating systems across the country, our rating system is pure bull crap. It’s a complicated measure of meaningless statistics, student test scores and mumbo jumbo that can be twisted one way or another depending on the whims of administrators, dumb luck and the phases of the moon. A New York Supreme Court judge just ruled this week that the Empire state’s similar teacher rating system is “arbitrary” and “capricious.” But in Pennsylvania our legislators want to make it the axe that slices away teachers from the profession. Third, the bill isn’t really about seniority at all. It’s about making it easier to fire teachers no matter how good they are at their jobs. Currently, state school districts are not allowed to furlough teachers based on lack of funds. This new legislation aims to remove that impediment. It makes sense in a way. Pennsylvania lawmakers refuse to properly fund public schools so they have to make it easier to downsize. You’re welcome, taxpayers! If this bill becomes law, school directors could fire whomever administrators want for whatever reason. Admin: Mr. Smith, you’re fired. Smith: But I’m rated as Distinguished. Admin: Not after we adjust the formula, mess with your class rosters and all around juke the stats to show you’re Failing. Seniority is not perfect, but it avoids all these high jinks. It leaves no questions, nothing that can be easily altered. Either you have seniority or not. And if administrators have been doing their jobs by making sure good teachers stay and bad teachers are trained or let go, seniority correlates with good teaching. If you’ve been in the classroom for a long while, you’re probably a pretty descent teacher. Like anything else, practice makes perfect. The public has to realize something about teaching at a public school. It is a deeply political job. You are subject to the whims of school directors, administrators, parents or anyone in the community with an axe to grind. You simply can’t do the job without some protections. How else can you fairly grade the school director’s child? How else can you exercise academic freedom to do what you think best if every decision is subject to committee? This doesn’t mean teachers can’t be fired. They are fired every day. But administrators have to be able to make a valid case. They have to gather evidence to prove you deserve to be fired first. 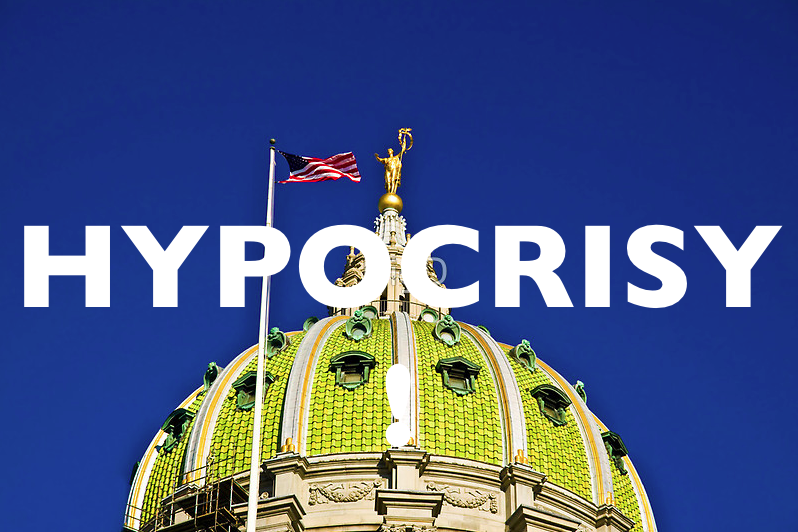 It is highly ironic that Pennsylvania lawmakers are pursuing this legislation when they have done everything in their power to protect their own jobs first. You want to talk seniority? Look to the legislature. Incumbents are almost always re-elected. Why? Not because they do such a great job. They’ve made sure to gerrymander the state. Republicans reside in overwhelmingly Republican districts, Democrats in overwhelmingly Democratic ones. This is no accident. A few years back, legislators redrew district borders to make sure they’d keep their jobs no matter how crappy they were at governance. It is deeply unfair and undemocratic. The majority of voters do not get a say. Instead, we cater to special interests and protect terrible legislators so they can pass crap like this bill without fear of repercussions during election season. Do you think lawmakers would have refused to pass a state budget this year until 9 months after the deadline if they thought voters could actually hold them accountable? No way! Do you think they’d withhold fair funding to the majority of public schools in the state if they thought the majority of voters had a say whether these knuckleheads stayed in power? Absolutely not! And worst of all, even with Gov. Wolf’s promised veto, the crisis is far from over. When next year’s budget comes up for a vote in June and the Governor again asks for equitable funding for schools, legislators are bound to use HB 805 as a bargaining chip. “You want some money for our kids’ schools? Then you’d better make it easier to fire teachers,” they’ll say. Protect excellent teachers? Ha! They’re protecting terrible legislators. We’ll never have good governance in this state again unless we find a way to redraw our gerrymandered districts. We need a voter referendum, a nonpartisan committee or – here’s a long shot – we need for extremist residents of these gerrymandered districts to revolt against the politicians hiding behind them. Until then, we will be forever cursed with terrible lawmakers, execrable laws, under-resourced schools and a crumbling state. Click HERE to find out how your representatives voted on HB 805. Somehow it’s great for legislators, but really bad for people like public school teachers. At least that was the decision made by Republican lawmakers in the Pennsylvania House Tuesday. They voted along party lines to allow schools to furlough educators without considering seniority. But the House’s own leadership structure is largely based on seniority! Most legislative bodies in the United States from the federal government on down to the state level give extra power to lawmakers based on how long they’ve been there. Everything from preferential treatment for committee assignments to better office space and even seating closer to the front of the assembly is often based on seniority. Leadership positions are usually voted on, but both Republicans and Democrats traditionally give these positions to the most senior members. And these same folks have the audacity to look down their noses at public school teachers for valuing the same thing!? If passed by the state Senate and signed by the Governor, the law would allow public schools to lay off teachers based on the state’s new and highly controversial teacher evaluation system. Teachers with a “failing” ranking would go first, then those with a “needs Improvement,” label. This system is largely untested and relies heavily on student standardized test scores. There is no evidence it fairly evaluates teachers, and lawsuits certainly would be in the wings if furloughs were made based on such a flimsy excuse. It’s kind of like giving legal favor to the management practices of Darth Vader. In “The Empire Strikes Back,” when one of his minions displeased him, he choked them to death with the Force. No second chances. No retraining. No due process. One misplaced foot and you’re gone. Pennsylvania’s proposed method isn’t quite so harsh, but it’s essentially the same. You’re fired because of this flimsy teaching evaluation that has no validity and can really say whatever management wants it to say. Technically, things like salary are not allowed to be considered, but given the unscientific and unproven nature of this evaluation system, management could massage evaluations to say anything. Administrators didn’t mean to fire the teachers with the highest salaries but those voodoo teaching evaluations said they were “failing.” What are you gonna’ do? OFF WITH THEIR HEADS! While seniority is not a perfect means of selecting who gets laid off, at least it’s impartial. Moreover, teachers who have lasted in the classroom longest almost always are highly skilled. You don’t last in the classroom if you can’t hack it. Being a public school teacher is a highly political job. Your boss is the school board and members are elected by the community. While many school directors have the best interests of their districts at heart, favoritism, nepotism and political agendas are not unknown. 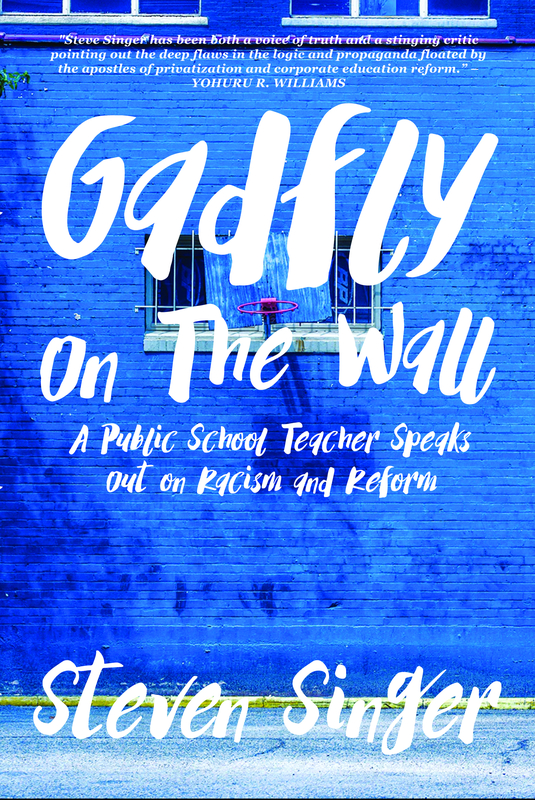 Teachers need protections from the ill-winds of politics so they can be treated fairly and best serve their students. Otherwise, it would be impossible – for instance – to fairly grade a school director’s child in your class without fear of reprisal. As it stands, state school code specifically mandates layoffs to be made in reverse seniority order, also known as “first in, last out.” Pennsylvania is one of six states that calls for this to be the sole factor in school layoff decisions. It’s unclear how the legislature could pass a law that contradicts the school code without specifically voting to alter the code which governs the Commonwealth’s public schools. Moreover, it may be illegal on several additional counts. Public school districts have work contracts with their teachers unions. The state can’t jump in and void those contracts between two independent parties when both agreed to the terms of those contracts. Not unless there was some legal precedent or unconstitutionality or violation of human rights or SOMETHING! Get our your pocketbooks, Pennsylvanians. If this law is somehow enacted, you’re going to be paying for years of court challenges. And speaking of flushing money down the toilet, the law also allows school districts to furlough employees for financial reasons. At present, layoffs are allowed only when enrollment drops or by cutting programs wholesale. This is especially troubling given the legislature’s failure the past four years to fairly fund its public schools. Ninety percent of school districts have had to cut staff in recent years, either through attrition or furlough, according to the Pennsylvania Association of School Administrators. So this law makes it easier to rob poorer schools of funding. If it were enacted, districts could fire teachers and reduce programs to pinch pennies. Now they are constrained to keep the highest possible level of quality for students regardless of funding shortfalls. This puts them at odds with the legislature and forces them to demand fair funding for their districts. Under this new law, school boards could more easily ensure that some students get a higher quality education than others in the same district! Oh! We increased class size for the struggling students (most of whom are poor and minorities) but decreased it for the advanced classes (most of whom are rich and white). Finally, we get to the issue of viability. Will the state Senate pass this bill? The House passed it without a single Democrat voting in favor. The Senate is likewise controlled by the GOP. However, Gov. Tom Wolf is a Democrat and has said he’s against it. Seniority issues, he said, should be negotiated through the local collective bargaining process. So once again we have partisan politics reigning over our public schools – Republicans actively trying to sabotage our public schools and fire their way to the top! Democrats vainly trying to hold the line. Couldn’t we all just agree to value our public schools and public school teachers? Or at very least couldn’t we all agree to give others the same benefits we demand for ourselves? You know. Things like seniority!